After the snake post and the associated trauma of saving the chicken from the snake, I have faced another one of my fears while living in the country…the dreaded scorpion. Yes, I was bitten today on my left palm after picking up a board outside. I know better, but I was in a hurry getting ready for a garage sale this Friday. It stung like a bee only times twenty. It left a small pin prick hole in my palm and a bulging red place. The worst part is the weird tingling sensation that has occurred in my lips and tongue. 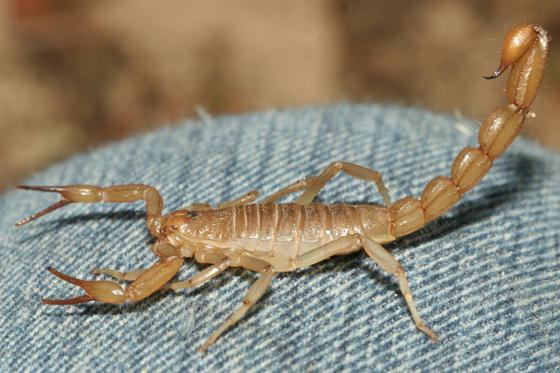 The Texas scorpion is not lethal unless you are allergic which the victim will know within twenty minutes of the sting. Now I know that I can face down a snake, if I have to save a chicken, and scorpions hurt, but won’t kill me.